Fruits or vegetables are inserting into a chamber and a spinning cutting blade grinds the plant material down into small shreds and sends it against a straining screen basket that is spinning at the same high speed as the cutting blade. The weight of the plant material spinning at high speed creates a great force, which is pushing against the screen. This centrifugal force pulls the juice out of the plant material and the juice slips through the straining screen and leaves the dry material, or pulp, behind within the screen. This type of juicer is not recommending for soft fruits such as bananas and berries and leafy vegetables such as parsley, spinach and wheat grass. These juicers produce some foaming due to the high speed of processing the juice. These units are louder in operation than Masticating type juicers. 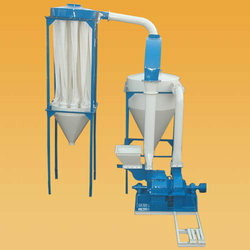 A screw type single auger moves the pulp along the auger to press the pulp against a straining screen or housing. Soft fruits should be combining with harder fruits and vegetables, as the auger needs plant fiber to move the material along the length of the auger. Works well with leafy vegetables such as parsley, spinach and wheat grass. 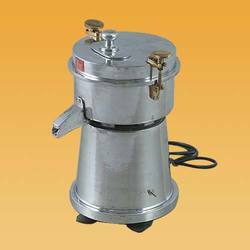 Low 80-100 rpm speed is quiet and produces less foaming and oxidation than centrifugal juicers. Return is very high, because it extracts the juice from the pulp remains the pulp as a residue material from the machine. Single Aluminum auger screw design with stainless steel screens. Low 100 revolutions per minute speed minimize juice frothing, heat and oxidation and maximize nutrition from your juice. Large round feed chute allows big pieces of fruits and vegetables to be insert. Quiet and efficient high yield operation. Unique design looks great in storage on your counter. Revolutionary easy to assemble/disassemble design makes unit easy to clean and operate. We are one of the biggest Mini Pulper Manufacturers and Exporters from quality point of view. 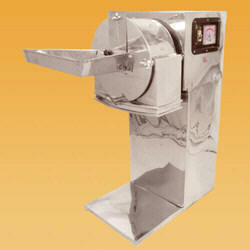 Our Mini Pulper are offered with the assurance of better durability and better reliability. The base which makes us frontline Mini Pulper manufacturer and Mini Pulper suppliers. When it comes to the world of Mini Pulper, then competition is very fierce and intensive and equally gorgeous and competitive are the Mini Pulper of our collection. Our Mini Pulper are exactly in contrast with the demand of the market trends. Our products are manufactured using latest techniques with zero percent compromise on quality. 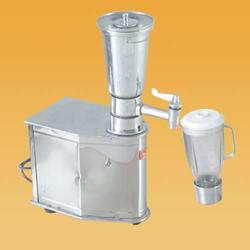 * IT IS IDEAL FOR PULPING TOMATOES, MANGOES, RASPBERRY, STRAWBERRY, PAPAYA, ROCK MELON, JAMOON, GUAVA PEACH, GRAPES, BANANAS, ETC. 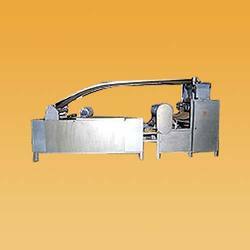 * THE CONTACTING PARTS OF PULPER MACHINE ARE MADE OF STAINLESS STEEL THE STAND IS MAID FROM RIGID MILD STEEL CONSTRUCTION. * IT IS PROVIDED WITH A STAINLESS STEEL SIEVE OF SIZE 0.8 MM WHICH IS IDEAL FOR MOST OF THE FRUITS. INSIDE THE SIEVE A NYLON BRUSH AND A BLADE ARE PROVIDED. 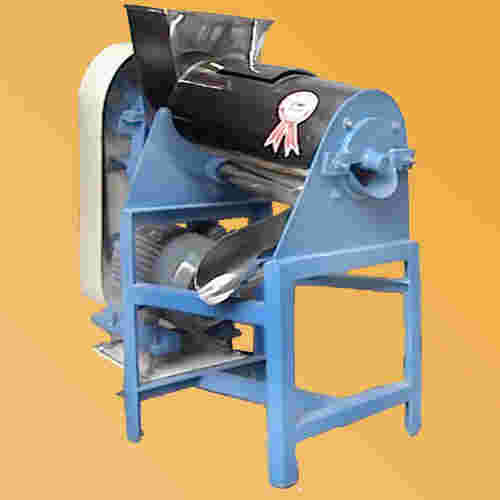 THE PULPER IS POWERED BY A 1 HP SINGLE PHASE MOTOR. 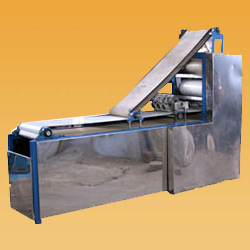 * THE PULPER CAN PROCESS ABOUT 500 KGS OF FRUIT PER 8 HOUR SHIFT. * THE PULPER IS VERY COMPACT CAN BE EASILY INSTALLED IN A COMPARATIVELY SMALL SPACE. ITS EASY IN OPERATION AND MAINTENANCE. * REQUIRES NO SKILLED LABOUR TO OPERATE IT. ALSO IT CAN BE EASILY DISMANTLED FOR CLEANING, AFTER OPERATION, AND QUICKLY RE-ASSEMBLED. 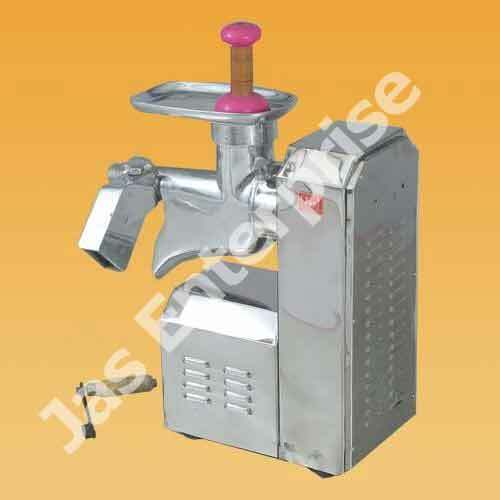 * THE FRUIT PULPER IS A MUST FOR ANY SMALL SCALE FRUIT & VEGETABLE PROCESSING UNIT.